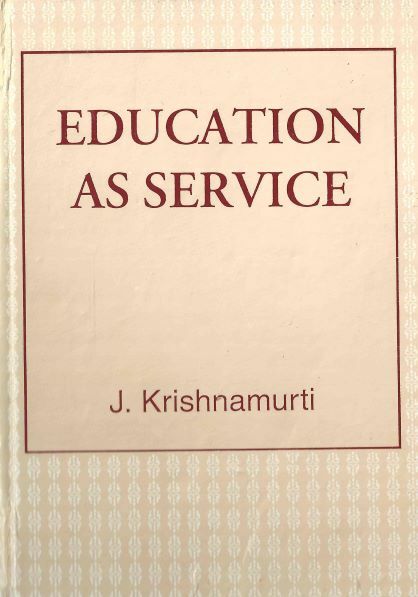 " The office of the teacher is the most sacred and the most important to the nation, because it builds the characters of boys and girls, who will be its future citizens. " 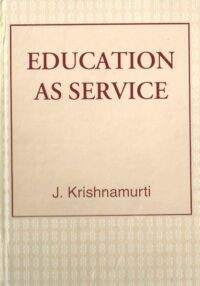 So declared the world-renowned spiritual Teacher, J. Krishnamurti, when at the age of seventeen he wrote this book. In his previous valuable little work At the Feet of the Master, written when he was fourteen, he made available to the world the instructions he received from his Master on the four Qualifications for the spiritual path - Love, Discrimination, Desirelessness and Good Conduct. Here, the author shows how they can be applied to the life of the teacher and the student, and be of universal benefit.
" You must trust yourself. You say you know yourself too well. If you feel so, you do not know yourself; you know only the weak outer husk, which has fallen often into the mire. But you - the real you - you are a spark of God's own fire, and God, who is almighty, is in you, and because of that there is nothing that you cannot do if you will "